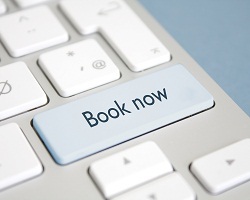 Once you go through the online booking as below, please make sure the correct contact details are provided, as we are likely to send a formal text and email as a helpful reminder prior to the appointment. We may also contact you to make sure that all your details are correct. To ensure appointments are not wasted, we kindly request that you contact us at least 24 hours if you need to cancel an appointment. Thank you for your co-operation and we look forward to seeing you at Pennine Dental Care – Striving for excellence in dental care. IF WE ARE UNABLE TO CONTACT YOU TO ENSURE THE DETAILS ARE CORRECT DUE TO INCORRECT INFORMATION BEING SUPPLIED, WE CANNOT GUARANTEE YOUR APPOINTMENT. Or : Click here for our online booking system!